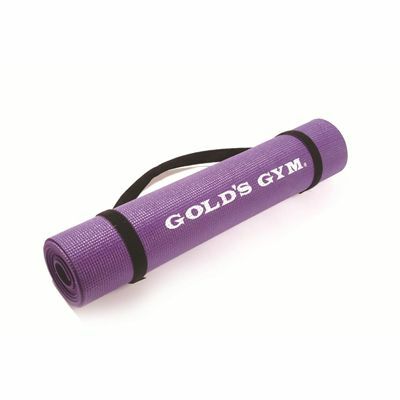 The Gold’s Gym yoga sticky mat is perfect for toning the muscles, burning calories, as well as for improving vitality, core stability and flexibility. This 172cm (67.7”) mat is a great choice for yoga enthusiasts and has a sticky surface for a great grip and balance when exercising. The mat is equipped with a Velcro carry strap for comfortable transportation and has a slim profile. Additionally, it features the Gold’s Gym logo in the centre and comes in a purple colour. for submitting product review about Golds Gym Yoga Sticky Mat.